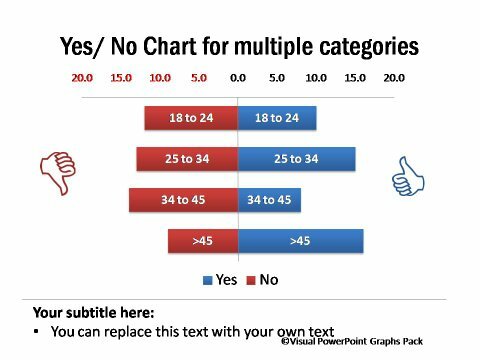 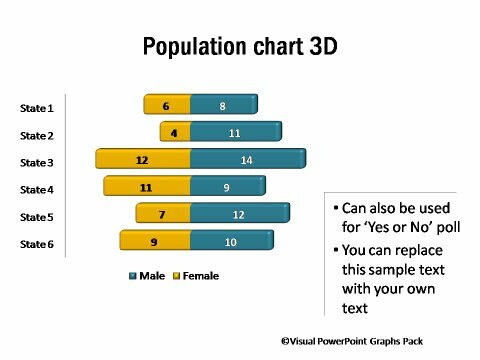 Description: The Yes/No chart shows responses among different age categories for an issue. 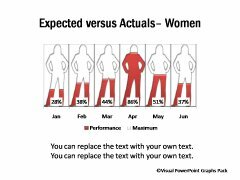 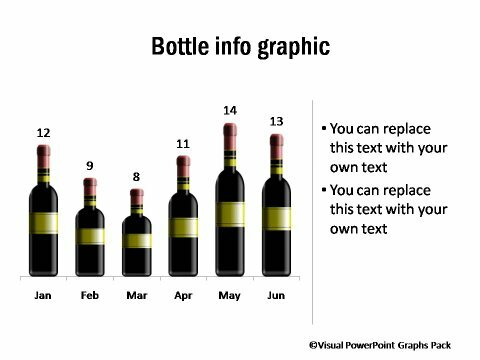 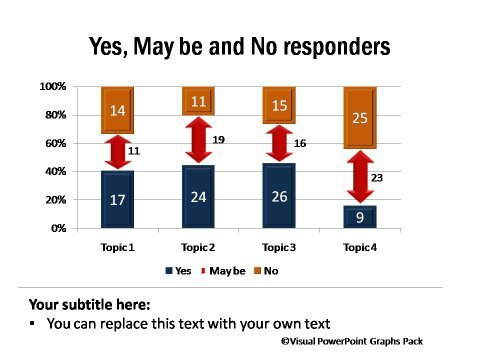 It is useful to present results of survey. 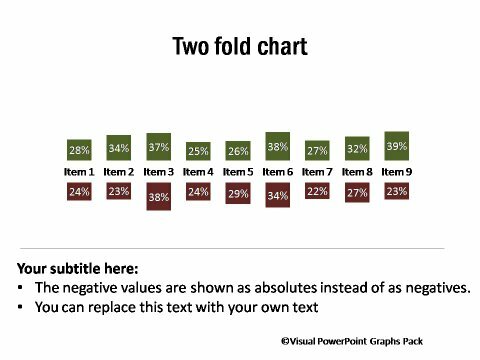 It is also called two-fold charts or butterfly charts. 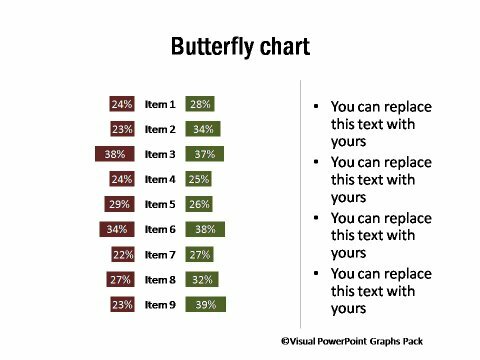 This set also contains Butterfly charts that shows percentage values for two categories on the same parameter. 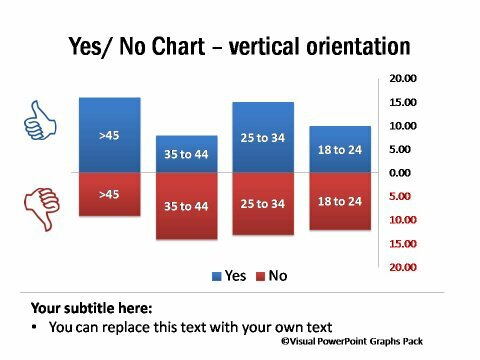 The chart is also called as tornado chart.The chart is useful to explain percentage of contrasting views in survey responses for different questions.